The oil downstream activities market consists of sales of the post extraction activities for crude oil and natural gas by entities (organizations, sole traders or partnerships) that provide post extraction activities for crude oil and natural gas, including refined petroleum products manufacturing and asphalt, lubricating oil and grease manufacturing. Major players in the global oil downstream activities market include Royal Dutch Shell, Exxon Mobil Corporation, Total SA and LUKOIL PJSC. The oil downstream activities market size is expected to reach $3.5 trillion by 2022, significantly growing at a CAGR of around 4.2% during the forecast period. The growth in the oil downstream activities market is due to increased global economic activity, refined petroleum from developing nations is expected to drive the market in the future. However, the market for oil downstream activities is expected to face certain restraints from several factors such as regulations surrounding carbon emissions, the rapid decline in oil and gas prices. 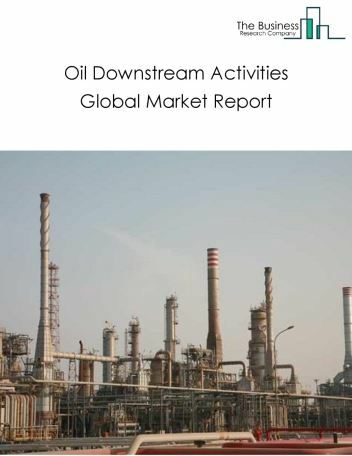 The global oil downstream activities market is further segmented based on type and geography. 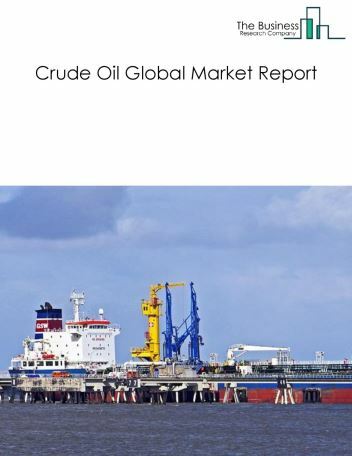 By Type - The oil downstream activities market is segmented into refined petroleum products manufacturing, asphalt, lubricating oil and grease manufacturing, among these segments, the refined petroleum products manufacturing market accounts for the largest share in the global oil downstream activities market. By Geography - The global oil downstream activities is segmented into North America, South America, Asia-Pacific, Eastern Europe, Western Europe, Middle East and Africa. Among these regions, the Asia-pacific oil downstream activities market accounts the largest share in the global Oil Downstream Activities market. Refinery carbon capture and storage, gas to liquid technology and big data in refineries are the major trends witnessed in the global oil downstream activities market. Potential Opportunities in the Oil Downstream Activities Market With greater stability in the oil and gas industry and high consumption of refined petroleum, the scope and potential for the global oil downstream activities market is expected to significantly rise in the forecast period. Mental Health Software For Keeping Medical Records! Healthcare Services Now More Efficient And Cost Effective With Digitization! 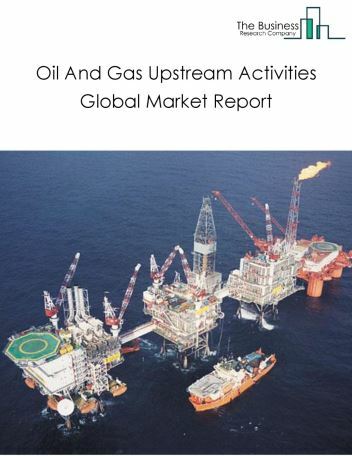 The oil and gas upstream activities market consists of sales of crude oil and natural gas by entities (organizations, sole traders or partnerships) that undertake the pre-refining activities of crude oil and natural gas production. 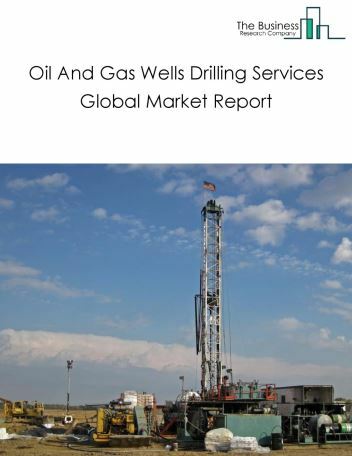 This is segmented into crude oil and natural gas pre-refining activities, oil and gas wells drilling services, and oil and gas supporting activities. The crude oil market consists of sales of crude oil by entities (organizations, sole traders and partnerships) carrying out exploration, development and production of petroleum and natural gas (by using pumping technologies and systems), as well as hydrocarbons which are in a semi solid state from surface shales or tar sands. 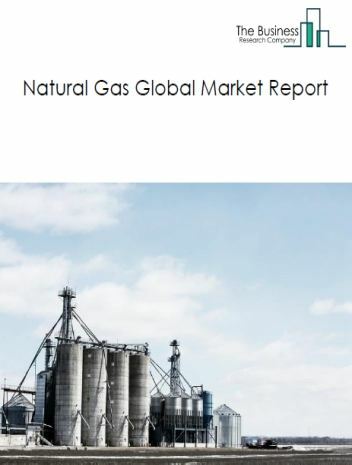 The natural gas market consists of sales of natural gas by entities (organizations, sole traders and partnerships) that carry out the exploration, development and production of natural gas by using pumping technologies and systems. 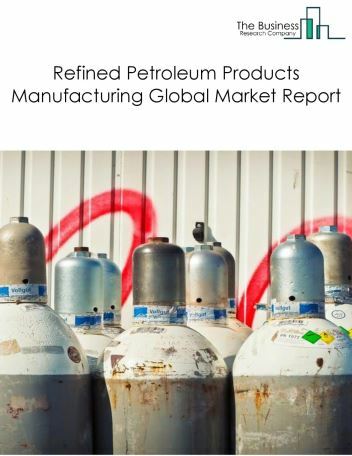 The refined petroleum products manufacturing market consists of sales of refined petroleum products by entities (organizations, sole traders or partnerships) that convert crude petroleum to refined petroleum products such as gasoline, naphtha, diesel fuel and liquefied petroleum gas and then sell these refined products. Petroleum refineries are large industrial complexes with extensive pipeline networks carrying crude oil and refined petroleum products between sub processing units. Revenues in this market represent the value of the different refined petroleum products. 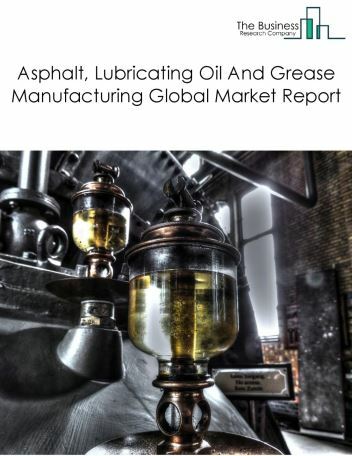 The asphalt, lubricating oil and grease manufacturing market consists of sales of asphalt, lubricating oil and grease by entities (organizations, sole traders or partnerships) that produce block asphalt, asphalt paving mixture, asphalt shingle, coating materials, petroleum lubricating oil and grease. Asphalt is a sticky, black and highly viscous liquid or semi-solid form of petroleum used for surfacing roads, flooring, and roofing. 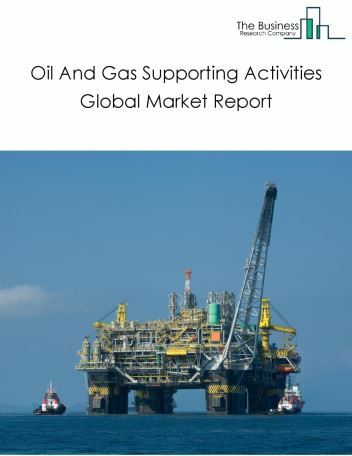 The oil and gas supporting activities market consists of sales of support activities for oil and gas operations by entities (organizations, sole traders or partnerships) that provide support activities on a contract or fee basis for oil and gas operations such as exploration, drilling and extraction.